How To Get Out Of A Timeshare: The Real Deal Or Just A Phase? Many timeshare owners end up wondering how to get out of a timeshare at some point during the time they own one. Whether this is a fleeting thought brought on by frustration and then forgotten or one that moves them to action depends on a variety of factors. Some people may wonder how to get out of a timeshare at the beginning of their timeshare contract. The lucky ones are still in their right of rescission period. For those that may not know, the rescission period is a period of time that is a mandatory “cooling off” period in a timeshare contract. The length of time will vary by state and country, but basically, it is time to think about your timeshare commitment. If you try to get rid of your timeshare during this time, you can do a timeshare cancellation without any penalty. All you have to do is submit either verbally or in writing a request to cancel a timeshare. Make sure you read your contract to determine the exact stipulations of your timeshare contract. Legally, the timeshare company has to release you from your timeshare obligation if you cancel during the rescission period. Other timeshare owners wonder how to get out of a timeshare after their rescission period when it is too late. For some, this may be a fleeting thought. They may have been frustrated by an unexpected increase in their maintenance fees or trouble booking a vacation. Once the immediate issue calms down, they stop wondering how to get out of a timeshare and go back to enjoying theirs. They use it regularly and overall like their timeshare. For them, this was just a brief thought or bump on an otherwise uneventful journey. If you are one of these people, consider yourself lucky. For most timeshare owners, the question of how to get out of a timeshare after the cancellation period consumes them. If you are in this position, you know how hopeless it can seem. You need to get out of a timeshare because you can’t use it the way the company promised you would be able to. Your maintenance fees have done nothing but increase, and you are tired of throwing away your money every month. These are the types of clients that our timeshare exit team helps. The people who are done with their timeshare but cannot figure out a way to get rid of it. If you are in this situation, you know how desperate it can feel. Trying to sell your timeshare has been a bust because it is worth less than you owe on it. So even if you could find someone who wanted to buy it, you would lose money. Plus, selling a used timeshare is difficult. No one wants one, and you don’t have any free incentives to offer to people who look. You may have even tried to give your timeshare away with no luck. You don’t know anyone to give it to because the maintenance fees are so high. You may think that you are stuck with your timeshare. But, I am here to tell you that you are not. There is an answer to how to get out of a timeshare, and it is through the process of timeshare cancellation. The timeshare company does not want you to know that timeshare cancellation is possible. The more payments you make, the more maintenance fees you pay, the more money they make. They are not on your side. Do not try to call the timeshare company on your own. 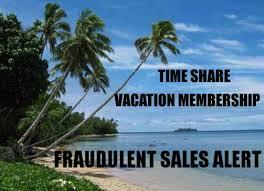 They are professional scam artists and will do their best to make sure you never get out of your timeshare. Instead, call a professional timeshare exit team who will be on your side. 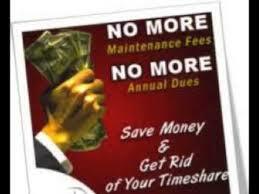 They will work for you to get rid of your timeshare without losing any more. In some cases, you may even be eligible for a refund from the timeshare company. You read that right, you might be able to get a refund from the timeshare company. Call us today to get out of your timeshare!